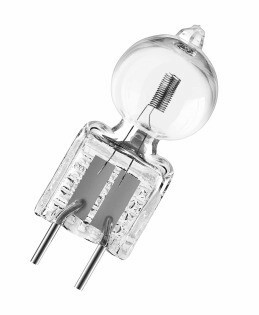 Halogen lamps for special luminaires, slit lamps and medical fiber optics. Infrared coating for increased efficiency. Upto 30% increase in luminous efficacy over standard lamp. Tungsten halogen capsule with Xenon gas filling.